April showers bring May flowers... or so the saying goes. it's officially spring, but it hasn't stopped raining yet in many areas, so it's time to invest in a trench coat to keep you dry in style. My coat closet is full of wool and leather but it is sadly missing a cotton blend trench, something I must remedy asap! Camel, khaki, sand, beige, whatever you want to call it the classic trench comes in a sophisticated neutral and goes with dresses to jeans. Fashionable celebrities from Alexa Chung to Emma Stone have stepped out in classic Burberry trench coats, but lucky for us there are more wallet friendly options that look equally chic. Now that I'm talking about shopping, below are a few options on my mind in addition to this water proof hooded trench. 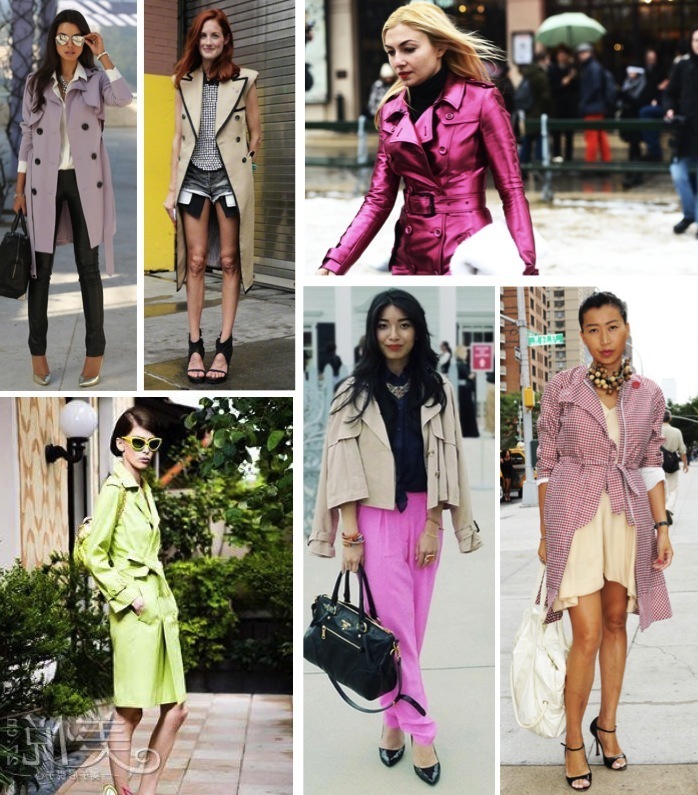 If you already have a classic trench in your coat repertoire, try a new take on the style to make an instant statement. I love the idea of playing with shape and sporting a sleeveless or cropped trench. Another option is COLOR! Lavender, mint, yellow or metallic, no matter what you chose, there's no hiding when you brighten up this practical piece. I don't own a trench sadly, but I saw a few cute options at Target last month. I just might have to go back and get one! I classic trench is a must for spring (and fall!). I've had mine for years, and I still wear it constantly! I looove how it's trending to wear shorts with trench coats. The juxtaposition looks so funky and chic at the same time! Love this post!! 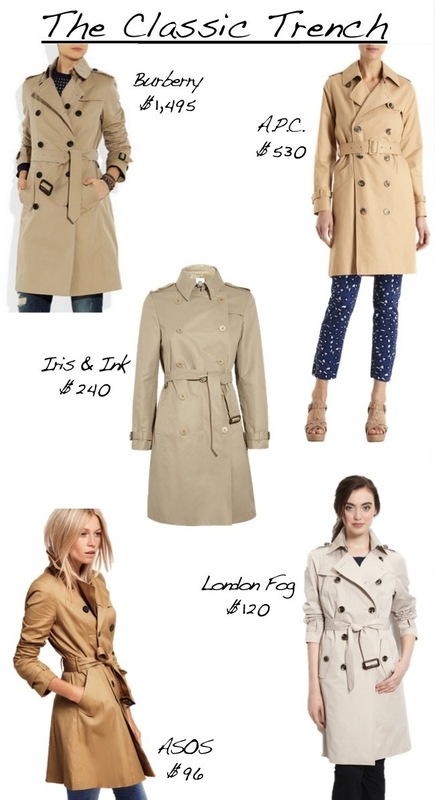 i have that london fog trench! i think it looks more expensive than it really is :) but i'm dying for the classic burberry someday! Really loving that lavender trench... I have a red trench coat and it makes me happy every time I put it on! I love my trench coat! such a classic piece! I need to get a trench ASAP! These are adorable options. I especially love that trench with the studs on the arms in the first photo! Love a good trench with cutoffs- it's so Kate Moss! 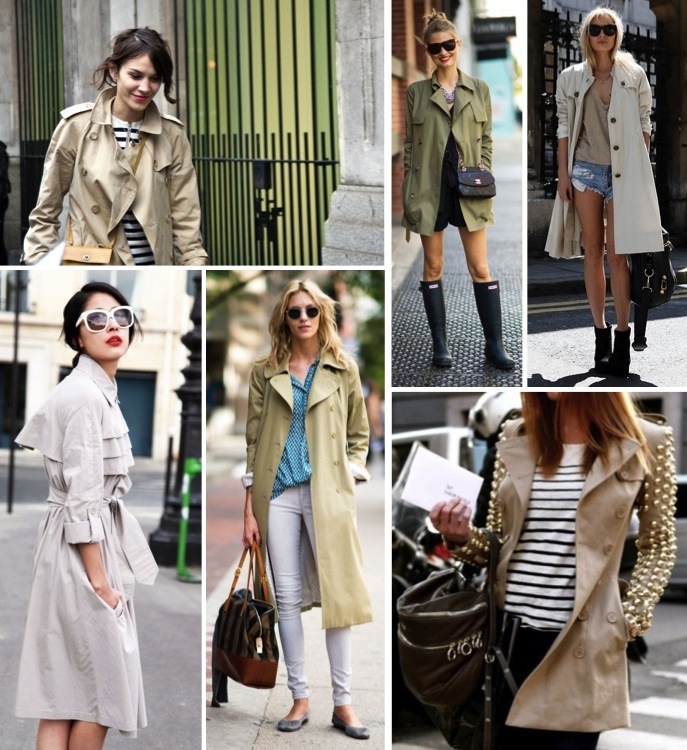 Love how you can wear a trench coat with so many different styles. Great post! One of my absolute fave closet staples! My trench collection just keeps growing. One day I will own the Queen Mother of all trenches, the Burberry. Until then, you've offered up some great alternatives at every price point.